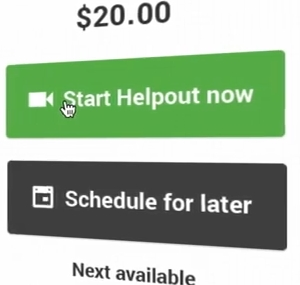 This week, Google launched a new tool called Helpouts, combining Google Wallet and Google+ Hangouts into a sort of dial-an-expert service. Think of it like the Butterball Turkey Talk-Line, except you can get help on a wide array of subjects, you and the expert can see each other, and you have to pay for the help. 1. On-the-fly, pay-as-you-go, affordable tech support when issues come up with nonprofit websites or other technical assets, particularly when the nonprofit doesn't have an IT person on staff. 2. A new revenue stream. Nonprofit staff may be able to use this service to offer their expertise on issues related to their cause, and gain some additional funding. For the moment, Google vets all the "experts," so this isn't something you can start doing today, but getting your name in the queue now would be a good idea, if this is something you want to pursue. What other use-cases can you imagine? Share them in the comments!